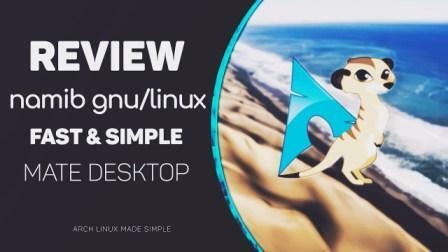 Namib GNU / Linux : Laurent Rabez submits his discovery of a new GNU / Linux distribution with a GNU / Linux based graphical installer based on ArchLinux. All the details and his experience. As with most other GNU / Linux distributions. Here you - the user - are the center of interest, we do not try to make money, sell your data or take control of your machine. " Namib is a user-friendly and open-source Linux distribution. It offers all the benefits of state-of-the-art software, combined with a focus on usability and accessibility, making it suitable for newcomers as well as experienced GNU / Linux users. It's a new distribution based on Arch Linux It's called Namib GNU / Linux. It only offers the desktop MATE only in 64 bits. It has a graphic installer, Calamarès. The rolling release system means that there is only one version of Namib GNU / Linux that updates over time and that the user does not have to reinstall the system regularly. 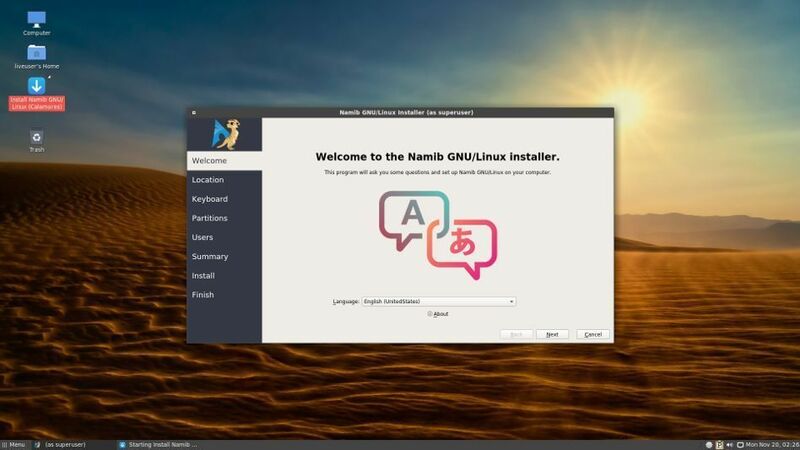 The installation of Namib GNU / Linux is done quickly and very easily. 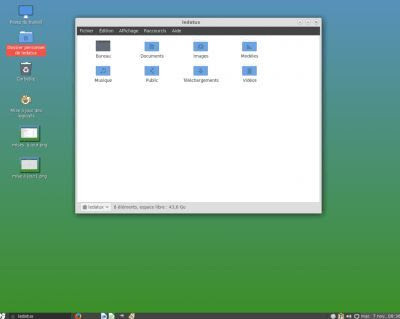 The MATE desktop comes with the theme of windows and Numix controls and Arc icons. The presentation of MATE is with a dashboard at the bottom and a classic menu. The cast is perfectly translated into French. The software is recent; the very classic library. A 4.12 kernel, the most recent kernel this day (early October 2017). The distribution is stable as much as PCLinuxOS. Another myth that collapses on the instability of rolling release. Pacmac is a package manager used primarily developed by Arch Linux developers. It is used to install, upgrade, configure and remove software (ie to manage software). Personally, I added some additional software in graphics with this software manager: k3b caliber ufraw-gimp ufraw glabels darktable gramps filezilla inkscape audacity sigil kdenlive psensor clementine transmageddon ffdiaporama youtube-dl qopenvpn qtox blender gthumb testdisk bleachbit. We find the deposit AUR (Arch User Repository) to expand the repository significantly (but not active by default). The deposit of the specific distribution of Namib is placed at the end of the list of deposits, so it does not take precedence over the official deposits of the distribution. It contains just a dozen software. Last advice? Update at least once a week.